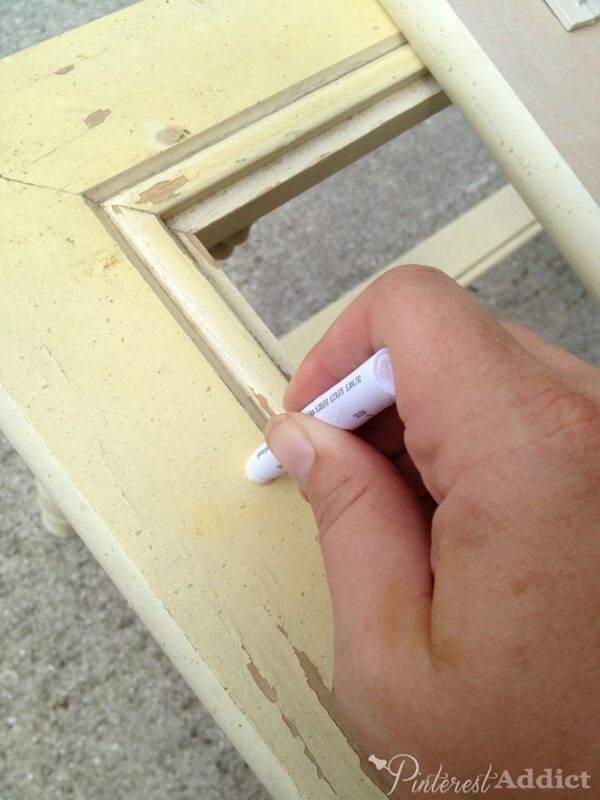 As a person who frequently buys and repaints vintage furniture, I am always worried about lead paint and whether it was used on the piece I’m about to sand and re-paint. Lead is not something I ever want to mess with, let alone get into my lungs. When we were at the Haven Conference, 3M was handing out these little packets of Lead Check Swabs and I grabbed a pack. They can detect lead on painted wood, metal, vinyl, plastic and in dust! 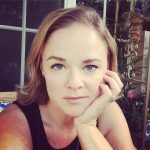 I know when we bought our old house in NJ, it would have been helpful to have these little suckers – that house hadn’t been repainted since it was built back in the 50’s – long before lead based paints were known to be dangerous and taken off the market in the US. If you would like to know more about lead based paints and the effects they can take on your health, you can visit the US Environmental Protection Agency’s page on Lead Based Paint. Yesterday, my husband and I were trying to finish up a few projects and one of them was a pair of vintage faux bamboo side tables I found at a thrift store for $15. They were pretty chippy, one was missing the bottom shelf, and both needed a good sanding. However, I wasn’t sure how old they were and if they had been painted with lead paint. 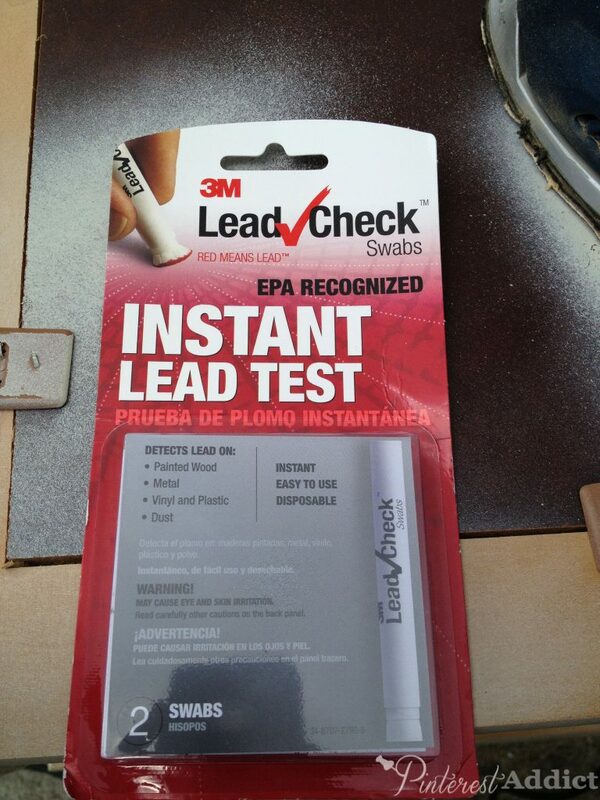 Enter 3M Lead Check Swabs! They were super easy to use. 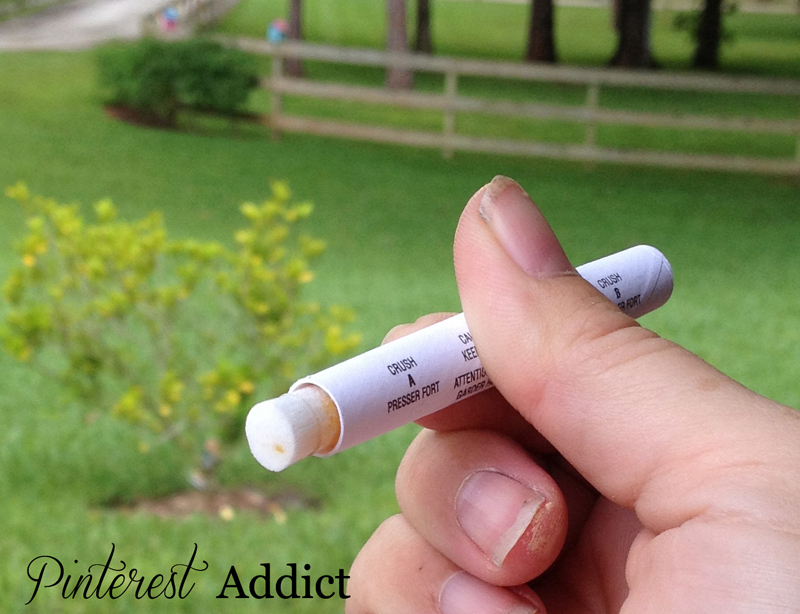 Just pinch the swab in both the A and the B spots, and shake twice to mix the chemicals inside. Then gently squeeze the tube until a little of the yellow fluid is visible. Ugh! Don’t mind my dirty hands – I was busy with Wood filling Bondo, paint and sanding all day! Then rub that end on the piece you want to test for 30 seconds. If the tip turns red, then you know you are dealing with lead! Now, if you’re worried that you did the test wrong, you can always test the swab to make sure it wasn’t faulty by using the handy-dandy test paper that 3M includes in the package. 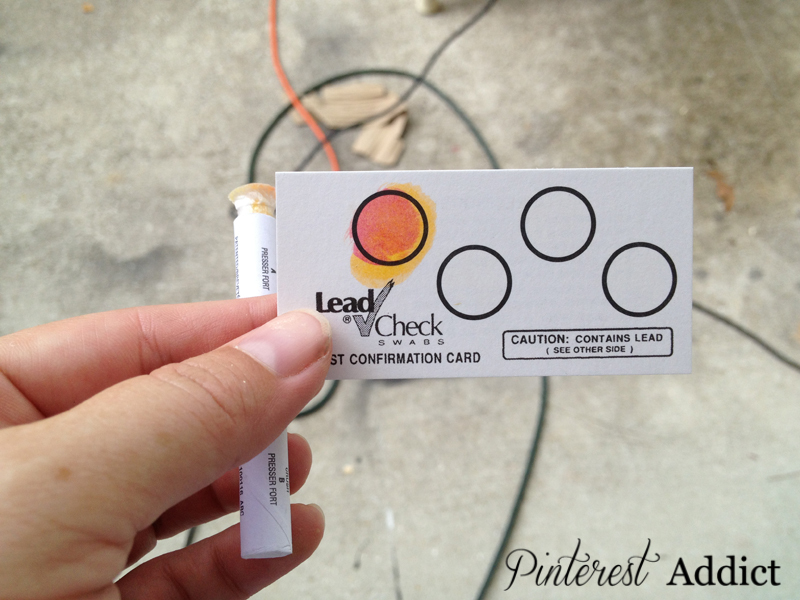 Just rub the end of the swab on one of the lead containing dots and wait for it to turn red. If it doesn’t, then you know your test didn’t work as it should and you need to do another test. As you can see, my test worked perfectly! I will have to pick up a few more (dozen) of these swabs – they are invaluable to a chronic re-purposer like me! 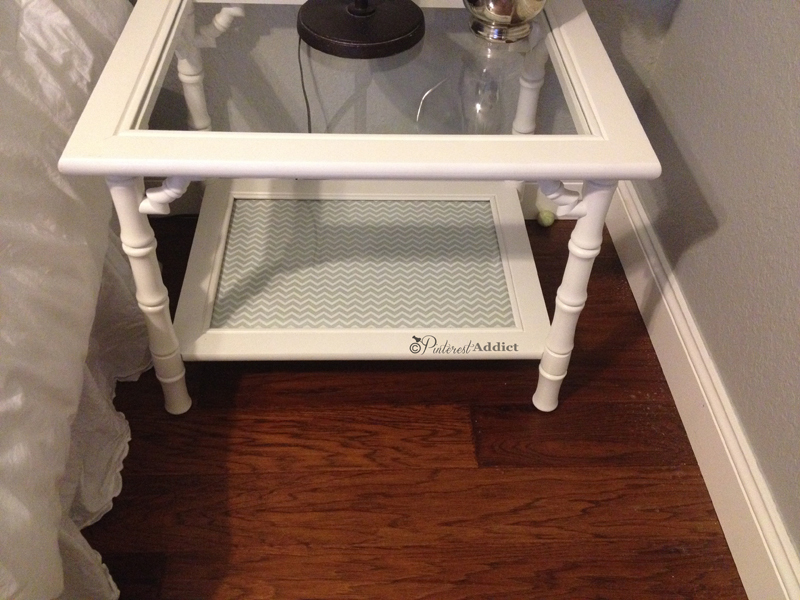 I haven’t painted the side tables yet, but when I do, I’ll post how they turned out. I’m still trying to decide on the best color for them – and where they would go in my house. I was thinking on our back porch, but I’m not sure yet. Would you go with just plain white? Or pick a bold and fun color? Disclaimer: 3M provided me with this sample pack at Haven – but like everything that I review and post about on Pinterest Addict, all ideas, opinions and statements are my own. I wouldn’t recommend a product if I didn’t truly believe it was fantastic. 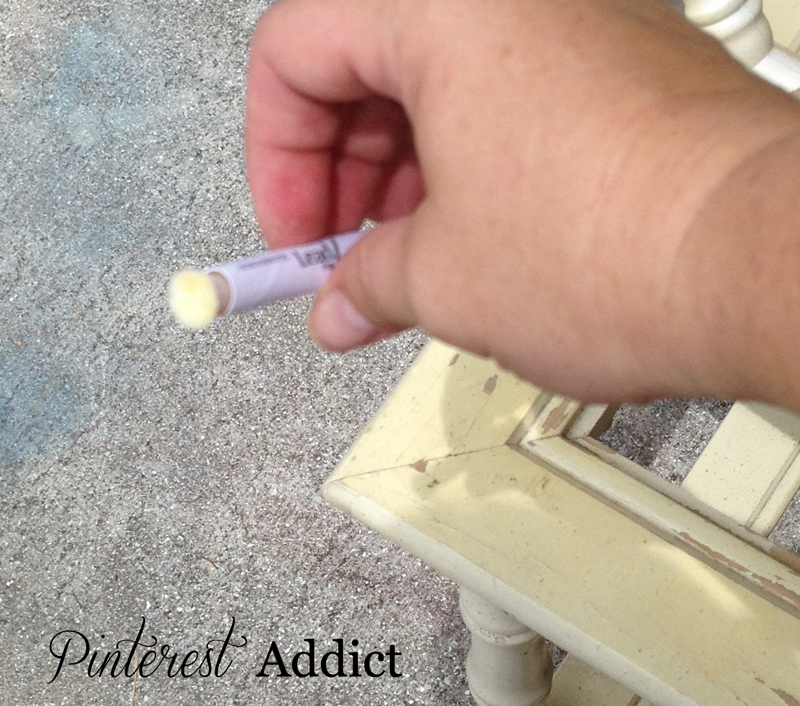 9 Comments · Cleaning and Organizing, Furniture, Haven Conference, Pins I tried, This worked for me! I need some of these! I am sure this old house of mine is FULL of lead paint! My husband uses these. 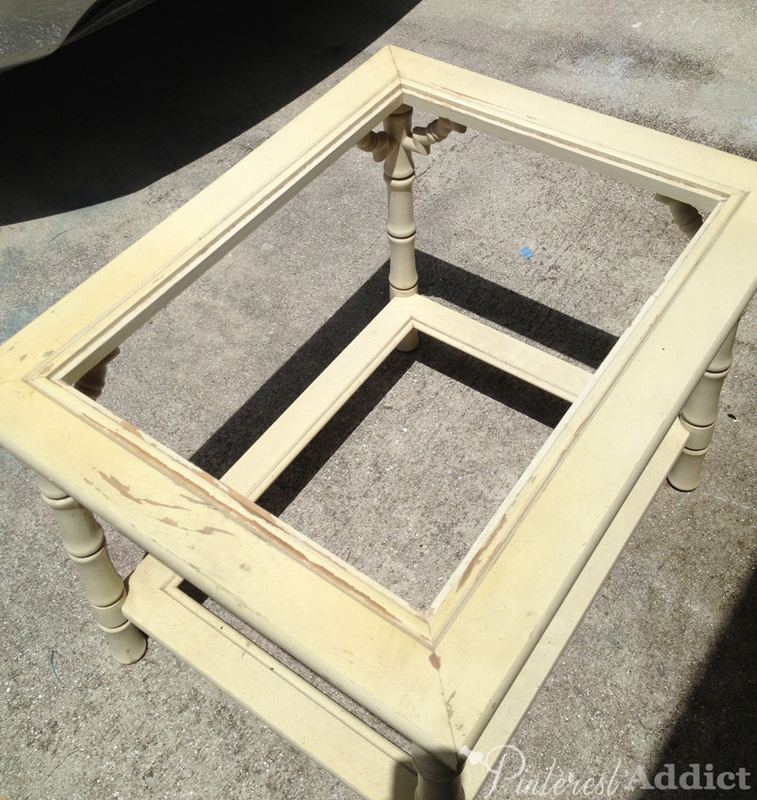 A piece of my Mama’s furniture was coated with lead paint. She still says that I’m overreacting and that Rick can just use a face mask to sand. No! I am gonna print the EPA page you referenced and show her concrete proof. Thanks for publicizing these, they are a life saver. I just bought a package of these to test a sligh bedset I bought for my daughter. It tested positive on 3 of 5 pieces tested. Back it shall go to my buddy’s auction house. 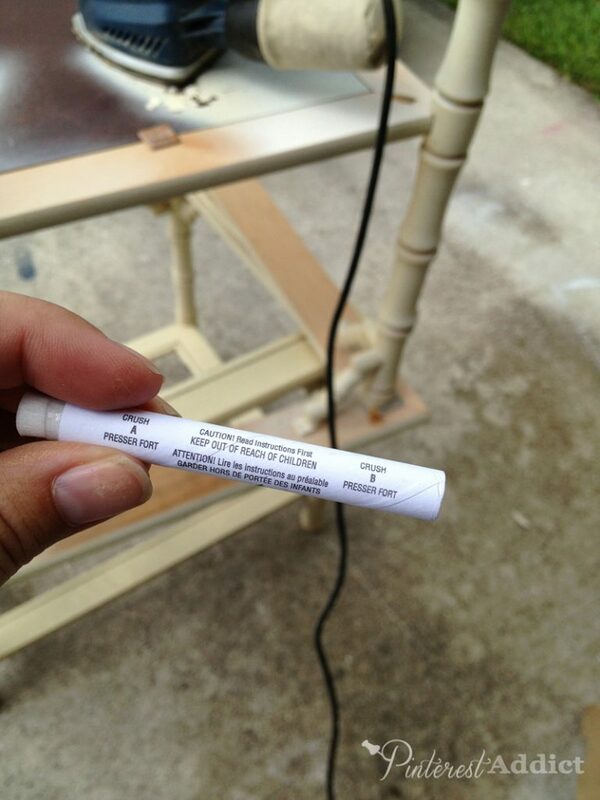 At least I hope that’s how this ends . . . . .One thing that I found using this exact test kit is that you have to test down to the wood and the directions say to use a clean knife to scrape a 1/4″ gash in the paint and use that as your test area. Also, the confirmation card should have the liquid dropped onto it as opposed to actually rubbing the swab over the area. Hi Michael – thanks for stopping by AND leaving a comment 🙂 One question about scraping down to the wood… I thought that we were testing the paint for lead?? Although I guess that if it had multiple coats that would make sense. Either way, I’ll be sure to do that next time. That is exactly right – you need to expose the previous coats of paint underneath the top coat. In our case I think the varnish on top was more recent and therefore lead free. Seems like a bit of an inexact science but I know that when my wife tested the surface sans the scratch it tested negative. So for 5 minutes we were relieved. Then I read the directions and hoped for the best. Then I had to tell my 4 yr old her princess bed might not work out. No princess bed = many tears. Isn’t the paper strip you tested a shade of red? It sure looks like it on my IPad! That’s what I am running into with the heirloom pieces I was about to refinish. The strips are not TRUE red. But definitely a pinkish maroon color. I took that to mean a positive lead test. Right? Where can you buy these and how much are they? I saw them a couple weeks ago in Home Depot. I didn’t pay attention to how much they cost, sorry.